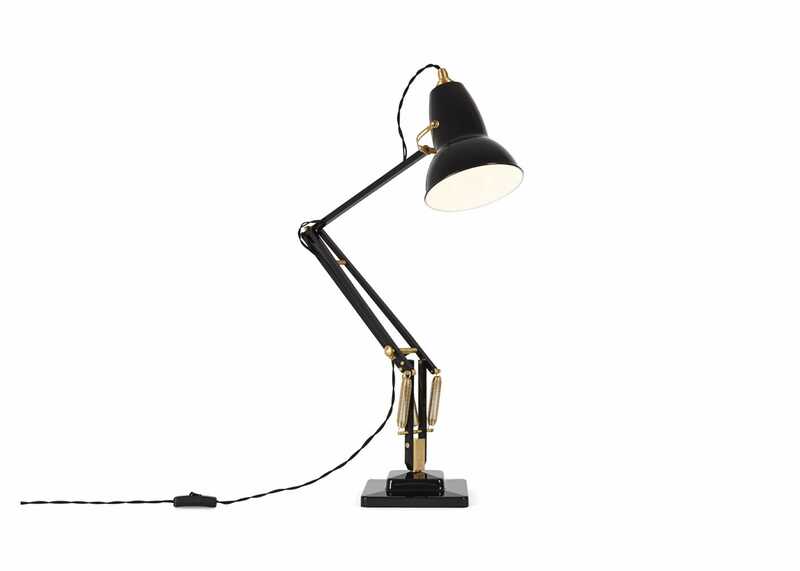 The quintessential desk lamp, the best-selling Original 1227 is an icon of British design. 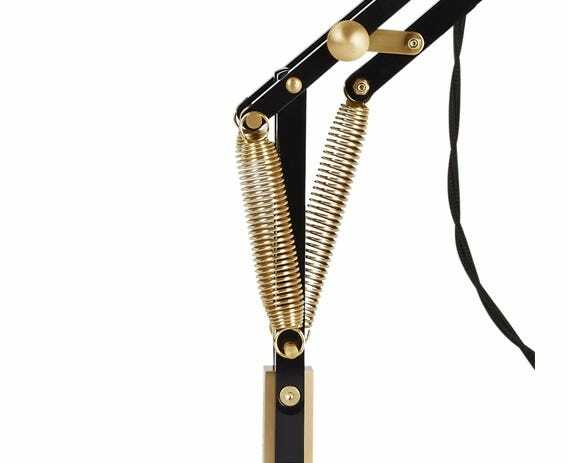 Pioneering Anglepoise’ constant spring technology, the instantly recognisable silhouette was first introduced in 1934 with this modern classic now given a heritage look thanks to a beautiful mid-century finish and brass detailing. The novel formula of constant-tension springs, still used across the businesses premium lighting collections, enables this functional design to easily pivot and angle light in any direction, with a smooth gliding motion that can be repositioned with the slightest of touches while remaining stable once in place. While the profile of this desk lamps slender aluminium arms come directly from its articulated design, other features display hints of period detail such as the deco-esque platform podium and industrial chic of its flexible domed shade. Regarded as the industry standard for architects, designers or anyone in need of precision lighting, the Original 1227 comes in a mid-century palette of slate with solid brass components and woven fabric cable. Constant tension springs provides perfect balance. I like my lamp but it has a slight problem in that it does not always hold the position I put it in. Some joints or springs are not quite tight enough. Some adjustment is possible but sadly not where I need it. But it is a classic design and looks super so I am glad to have it. The lamp is great: looks good and does its job (I use it as a bedside reading light). It took me ages to find the assembly instructions - they were buried deep within the sturdy packaging. Maybe they could be taped nearer the lid?